Welcome to Glamorous Beauty & Threading Salon. We offer a bespoke, tailored, professional beauty service. 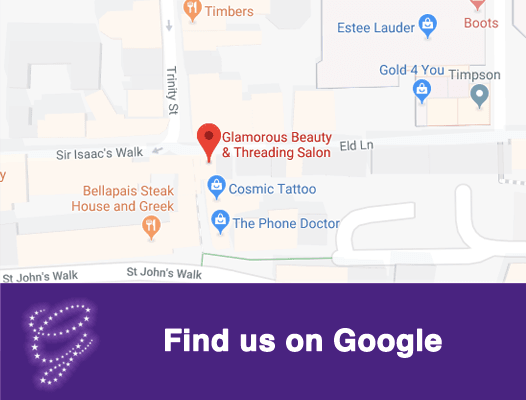 Glamorous Colchester offer bespoke, tailored and professional beauty services. Specializing in first class glamorous beauty treatments from threading to manicure and massage. Our team of professional qualified beauticians have many years of experience and knowledge in how to make you feel glamorous inside and out. With all of our qualifications, years of experience and knowledge, we will give you a quick and efficient range of treatments. We want to make you feel glamorous inside and out, to make you shine like a star. Welcome to Glamorous Beauty & Threading Salon. We offer a bespoke, tailored, professional beauty service. With all qualifications, years of experience and knowledge, we will give you a quick and efficient range of treatments.